Breaking: GOP Begging Trump Not To Declare Border Emergency! 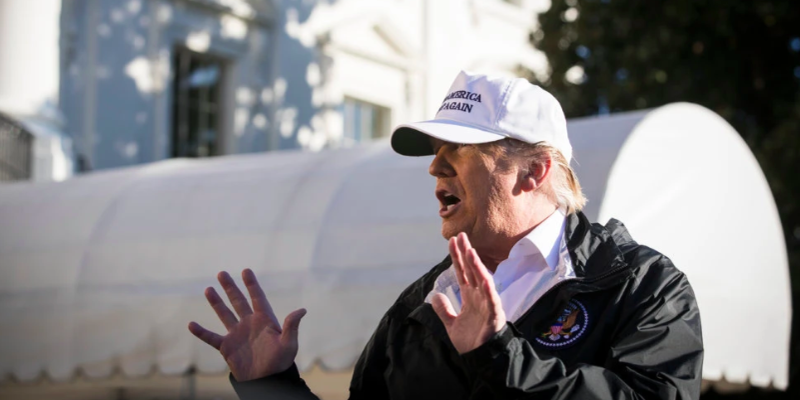 President Trump issued his biggest threat yet, announcing that he is preparing to issue a national emergency to fully fund border security projects. The Republican party is freaking out. They wanted to trade partial funding for full amnesty. GOP leadership is now meeting with Democrats and planning to overrule President Trump when he declares the emergency. The President is doing everything he can, but he can't win this on his own. He needs your help to hold Congress' feet to the fire and FORCE them to fully fund the border wall project! Send your instantly delivered FaxBlast to Congress right now and ORDER them to fully fund border security, or else be removed from office! Today, President Trump issued his biggest threat ever to declare a National Emergency to fund the Department of Homeland Security's border security projects. He has the authority to do this (10 USC § 2808) and you have already appropriated more than enough discretionary funding to allow the President to start construction. Enough is enough. It is time for you to grow up and appropriate the funding through the regular process. Blocking the President's border security proposal is not a policy argument... it is a political one. Hundreds of thousands of Americans are suffering during the government shutdown because you will not agree to secure the southern border. This is crazy.